When MLS clubs sign important players, typically the ones who grab the most headlines are either the promising young South Americans who want to use the league as a springboard to Europe or the older Europeans who come stateside to close out their careers. In recent years, the former have been increasing in number while the latter have been on the decline. The imports that get less attention, but are having been growing in importance in the league are the Americans who begin their careers abroad but hit difficult times either due to injury or a club situation and use MLS as a way to rehabilitate their careers. This is far different from the stateside return of high-profile Americans like Michael Bradley or Jozy Altidore. But rather these are younger but promising Americans who never were established abroad but were in a bad situation and MLS offered a better path. These types of league imports are having a huge impact in the league. Russell Canouse is a major reason why D.C. United is among the league’s best teams. Sebastian Lletget is influential on a strong Galaxy team. Kyle Duncan will play important minutes on a Red Bulls team that should compete for MLS Cup. Kenny Saief has helped FC Cincinnati to an impressive start. The latest import that fits this mold is Gedion Zelalem, who signed with Sporting Kansas City earlier this month. Developed at Arsenal, Zelalem was once considered the top teenage prospect in American soccer. Then U.S. national team coach Jurgen Klinsmann told the media in 2015 that Zelalem was ready to help the full national at that time. Zelalem was part of the U-20 World Cup teams in 2015 and 2017. But Zelalem’s career struggled to take root. In the 2015-16 and 2016-17 seasons, he went on a pair of second division loans to Rangers FC and VVV Venlo where he did not make much of an impact. Then in the first game of the 2017 U-20 World Cup, Zelalem tore his ACL. Normally it’s an injury that takes 6-9 months to recover but Zelalem’s injury was complicated and it stretched to nearly 18 months before he could return to the field. Now 22, Zelalem is ready to essentially start his professional career for the first time at a club where he can play first-team minutes regularly. Once he became healthy, Sporting Kansas City was quick to show interest in bringing him into the fold. The decision to sign with Sporting, however, wasn’t necessarily part of a desire of Zelalem to play in MLS but rather the way Sporting specifically seemed to be a good fit. The ultimate selling point was a combination of Coach Peter Vermes’ personality and his use of Zelalem’s preferred 4-3-3 formation. 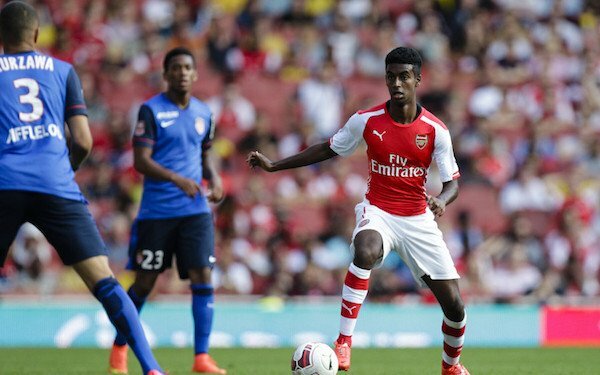 Last weekend, Zelalem made his debut on American soil. While Sporting Kansas City was idle during the international window, Zelalem played for its USL affiliate, the Swope Park Rangers, against the Pittsburgh Riverhounds. In total, he played 59 minutes and completed a high percentage of his passes. He began the game as the team’s No. 6 but moved into a more advanced position to start the second half. It was there where he came to life and showed an impressive ability to create. “It was fun to finally play a game,” Zelalem said after the game. “It was fun getting on the ball and moving the ball. I wish we could have had a bit more of an edge attacking today, but overall, we’re satisfied with the first game….Playing in the stadium was great. I got an idea of how the pitch was. The pitch was really good." Zelalem says the key will be gaining match-fitness. In terms of Sporting being the right stage for him, Zelalem happy with the team and happy with the league. While he was born in Berlin, he moved to the United States in 2006 and began to blossom as a soccer player in the Washington, D.C., area where he was noticed by Arsenal scouts. It wasn’t until 2015, shortly before the U-20 World Cup, when he became an American citizen. While living abroad, Zelalem kept tabs on MLS and developed friendships with some of his U-20 teammates who played in the league. But there is also unfinished business for Zelalem on the international front. He was only able to play a few minutes at the 2017 U-20 World Cup before his injury set him back. During his time away, Zelalem maintained close contact with U-20 head coach Tab Ramos, who encouraged him through the process. Like the move to the LA Galaxy did for Lletget, Zelalem is hoping Sporting can give him a platform back to representing the United States. While the full national team is the goal, Zelalem is eligible for the U.S. U-23 team in its attempt to qualify for the 2020 Olympics. Zelalem also played for the U-23 team in 2015 in its unsuccessful bid to qualify for the Olympics. For now, any talk of the international game is still a way off. To get to that point, Zelalem will have to make an impact at Sporting Kansas City, which is expected to be an contender for MLS Cup and is the last remaining MLS team in the Concacaf Champions League. Zelalem has been through a lot lately but believes his Arsenal experiences gave him a platform to now make an impact with Sporting. 5 comments about "Gedion Zelalem: 'I can share my potential with Sporting Kansas City with a little bit of patience'". R2 Dad, March 29, 2019 at 5:46 p.m. I have news for you, GZ--you're not a 6. Putting you there is just a crutch when playing with a back line uncomfortable on the ball. Plus, as you've noticed, you get kicked with little benefit to you or punishment to your opponents. You're an 8 only because the Nats don't know what a 10 is. No one in the US with the exception of Vermes (plus decamped Tata and Osorio) knows what to do with you, but at least you've landed at a promising club. The Nats need to see you pulling the strings at club level to imagine you doing that Internationally. In the mean time, try not to get too frustrated reading about how the Nats are missing Creativity in the final 3rd vs Chile, and how CP isn't really a 10. Wooden Ships replied, March 29, 2019 at 8:15 p.m.
frank schoon replied, March 30, 2019 at 8:09 a.m.
R2 Dad replied, April 1, 2019 at 11:47 p.m.
R2 Dad replied, April 2, 2019 at 1:24 a.m. He is good at recycling the ball in the attacking 3rd, but is dependent on intelligent runs from teammates. All the Rangers players are ball-watching, and this is something he would run into with many Nats players--that's why I'd suggest Weah on the left and CP on the right with Sargent up top. Those players have good soccer IQ and would know how to use a creative 10, but the Nats coaches don't use central midfielders combining play like this--we're not possession-oriented in the attacking 3rd. With McKennie and Adams as Dmids against UEFA and South American teams, we would have enough spine against top teams to pull something like this off. We have the time--I just don't think GB is adventurous enough to try this set-up.